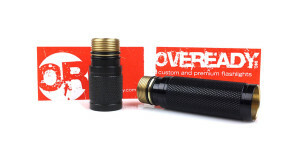 However, genuine unused SureFire E to C adapters are available from OVEREADY at less than half the price of the LU60A. One such adapter was provided by OVEREADY for use in this evaluation. 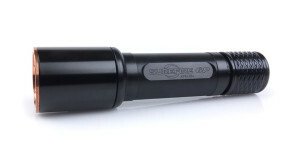 The SureFire E to C Adapter is constructed entirely of aluminum with a hard-anodized matte black finish. 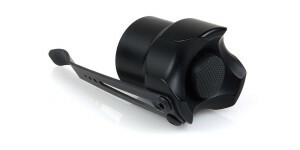 Knurled ridges at the base provide grip when tightening or loosening the adapter and an O-ring maintains a weather-tight seal between the adapter and bezel. 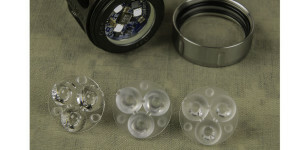 Also, drop-ins like the TorchLAB Triple and Malkoff M61 that lack an outer spring will require a spring washer installed at the base of the adapter to make electrical contact with the flashlight body. A beryllium copper spring washer is available from OVEREADY for this purpose. The completed assembly still remains relatively compact and allows the light to be outfitted exactly as needed based on the user’s needs. I am a huge fan of modular construction and the ability to interchange or replace parts based upon need. 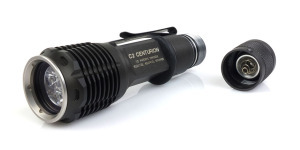 In fact, this is what first led me to collect SureFire flashlights and one of my earliest purchases was a complete LU60A kit just so I could obtain the SureFire E to C adapter. 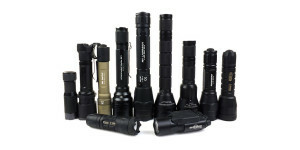 Although I generally prefer the tightly focused beams of flashlights like the SureFire E2D LED Defender, it has been extremely useful to be able to easily swap in a replacement such as the Malkoff M61 for a wider and more general purpose beam. Of course the E to C Adapter also opens the door for some less practical combinations as well but that’s just part of the fun when mixing and matching parts from different lights! I bought this accessory and I find the E2C Oveready a little better that the E2C Vital Gear.